Visiting Hoi An might be one of the most beautiful and peaceful moments in your life. Why am I saying this without any hesitation? Perhaps, the love spent to Hoi An is so immense, and Hoi An itself deserves that love. Anyone visited here would keep a sparkling image of Hoi An in their mind. Sightseeing, weather, food, people and everything are just summarized in one word only “nice.” If you want to stay and enjoy things, forget pressure, workload, and trouble, Hoi An is a Mr. Right for you. Regarding Hoi An, people see a new place to discover, which is An Bang Beach, located in Cam An, Hoi An. 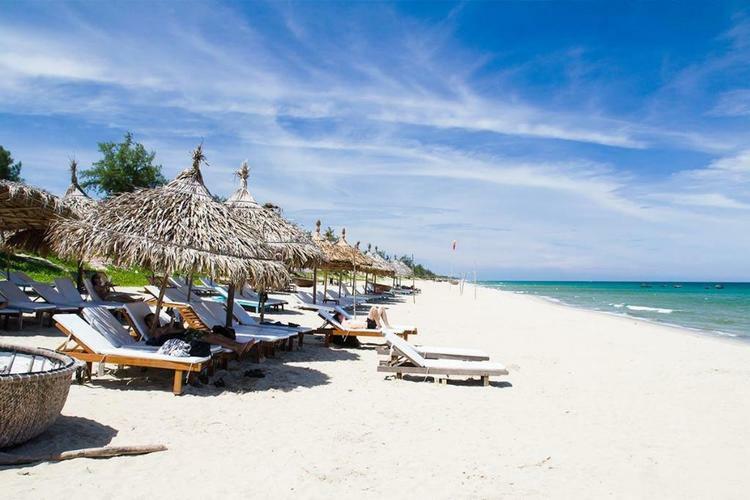 The beach is a new-comer in the list of best places to enjoy when in Hoi An. However, the great impression on tourists makes it quickly become a hot name in the tourism handbook of anyone. Let’s see how fabulous An Bang is. An Bang (An Bàng) beach is not far from Hoi An downtown at all. It’s about 7km from the city center, which would be very easy for tourists to travel there. 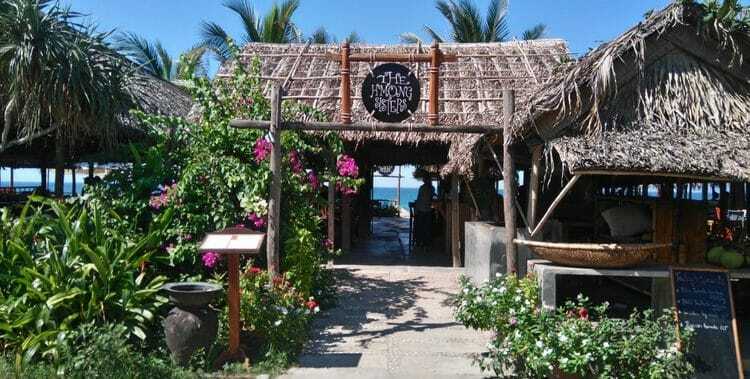 Though it is located at 1km from Cua Dai (Cửa Đại) beach, not many people know this new place until it took an immense notice of CNNGO by appearing in the Top 50 beautiful beaches in the world in 2013. Since then, An Bang caught the big attention and care of local government and some tourists. The best time to visit An Bang beach should be in spring or autumn because, at that time, the weather is so comfortable and fresh. You might not be afraid of heavy rain, dark sky, cold or hot weather. Frequently, tourists visit Hoi An ancient town and book a room there, then go to An Bang beach early in the morning to spend a whole day on the beach. Nevertheless, skipping to enjoy the beauty of the night sea will make you feel pity. Once you stay in An Bang at night, you will get into the beautiful peace and silence of the beach, which give your whole body to relax and enjoy. Moreover, you can see the twilight and the dawn on the beachside. You can’t get its image away of your mind. Coming to An Bang, you can be surprised by up to 4km coastline, along with the white sand, yellow sunshine, and blue water. Because of being newly discovered, there are no resorts and big hotels near the beach. If you want to stay a night at An Bang beach, homestays should be a great choice, which enables you to enjoy the wild style of the beach and local lifestyle of human here. If you want to feel the beach all day long and spend the night at Hoi An downtown, it’s a good idea for your trip. Above are three best recommendations for you to spend nights at An Bang Beach. During the tourism season, it is highly recommended to early book in advance. What to eat is always a hard question to any trip, especially to a new destination like An Bang. Of course, going to a beach, seafood is still the must-eat items. Luckily, seafood on the beach side of An Bang is not only fresh but also reasonable. You might not worry about paying a high price like in other famous places such as Nha Trang, Sam Son, Mui Ne beach. In comparison to Cua Dai Beach, next to An Bang, the seafood here is said to be cheaper and better. Just take your bags and go to the beach to enjoy seafood with local cooking methods. A seafood party on the beach with family and friends under the moonlight will be a fantastic memory in your trip to An Bang. Indispensably, local dishes are also highly recommended to you. Some famous names are listed as bread “bánh mỳ,” rice paper “bánh tráng,” “bánh đập,” “bánh xèo,” chicken rice, and so on. Can’t stop the idea of eating in An Bang. Anyone who likes riding a bicycle can seek for this unique option. Only with 5 minutes biking from An Bang beach, you can reach a small village, Tra Que (Trà Quế), known as a village of vegetables. Local food style will catch your big interest if you want to discover. The price varies from 80,000 to 150,000 VND/tourist. There are neither resorts nor entertainment centers nearby An Bang beach, which might be a bit boring for those who want to burn the night up. But it does not mean there is nothing to do at An Bang. You have a number of choices. An Bang is a place that gives you thousands of fanciful poses. Just save your trip with An Bang! One thing that makes foreign tourists love the beach here is its calm water. People can swim and paddle board freely on the beach. Furthermore, a sunrise paddleboard excursion will make your experience unforgettable. You also can play with the campfire at night with your friends. It should be a great option for your sparkling night. Don’t forget to borrow a speaker from the homestay and make some noise. Besides, those who would love to enjoy the silence of the beach can consider a small late party with some beers, seafood on the beachside. You can afford a luxurious and romantic dinner on the beach as well. An Bang beach is the right place for you to have retreated. 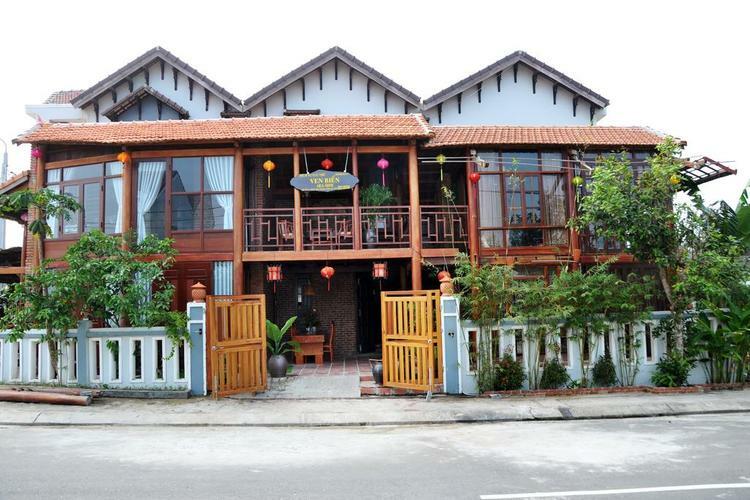 Let’s spend your memorable holiday with your darling, family, and friends here. If you have any questions, let’s leave them below. We will answer as soon as possible. To know more about Vietnam travel, visit our Vina homepage.